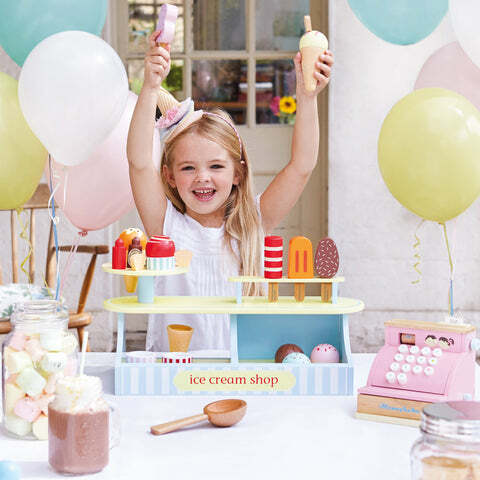 Lollies & Ice Cream Set (set of 5) | Great Little Trading Co. This lovely wooden play set is irresistible on its own or with one of our Play Shops. We love the beautiful colours and the jokes on the lolly sticks! 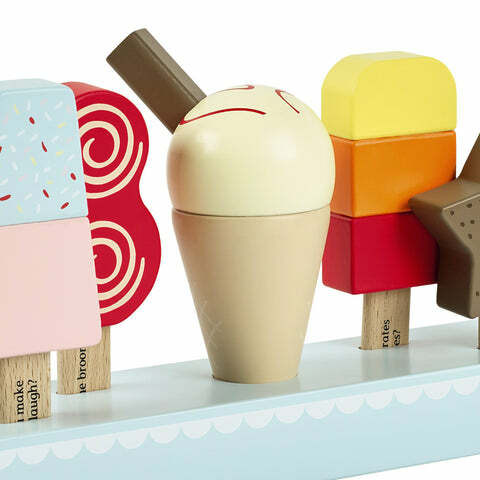 It's made of smooth painted wood and includes four lollies, one ice cream cone complete with flake (not removable) and a wooden storage stand. 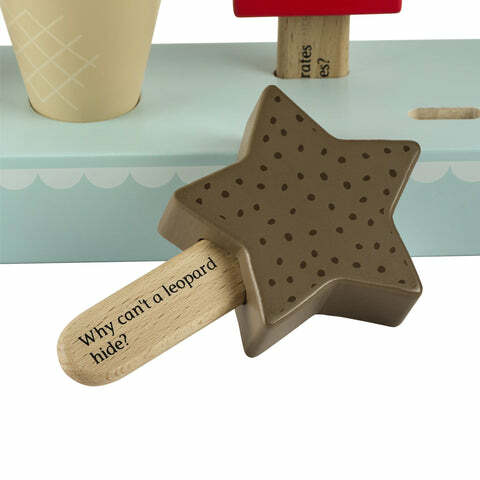 You might like our Lolly & Scoop Ice Cream Set; this award-winning wooden toy is packed with fun details to encourage pretend play and to develop fine motor skills.